It’s certainly true that one day, we should all aspire to have a gorgeous bedroom design to rival these. In the meantime, however, we have to start with the basics and think about what’s definitely fundamental for a bedroom. It might seem easy at first, but you could find that you’re missing one key thing from this list! Read carefully and you’ll soon have a bedroom that has the makings of a wonderland. It would be fair to say that different shades of white are usually the go-to option when it comes to painting a bedroom. Whilst this is a fine choice, it’s certainly possible to dig a little deeper and find a color that is a tad more exciting and yet still has a calming, cozy influence. These are some of the most popular colors right now, and each one of them turns a plain bedroom into a welcoming and comfortable place to be. We’re a big fan of a lavender-colored room, as not only are purple hues meant to reduce stress, but the shades look gorgeous in any light. To think that some people spend at least a third of their day sleeping on a hard, old, and downright rough mattress is not a pleasant thought. A mattress should be your haven – the place you go to find solace and sleep away all the stresses of the day. Experts generally agree that a mattress should be replaced around every 8-9 years, so if you think you’re getting close to that timeframe (or could simply do with a fresh start), then you really need to think about which mattress you’d like to pick up. IKEA’s range is usually very good, but if you’d prefer to buy online yet still be able to return the mattress without any fuss, then Eve is worth a look. You can also read a review if you’d like a more comprehensive, independent summary. There are certain pieces of art which never cease to amaze – creations which seem to unveil hidden areas every time you gaze upon it and make you lose track of time. This is exactly the type of artwork you need in your bedroom. When you have something that allows you to get lost in it, you’re giving yourself the chance to switch off from everything and find a few moments of relaxation. 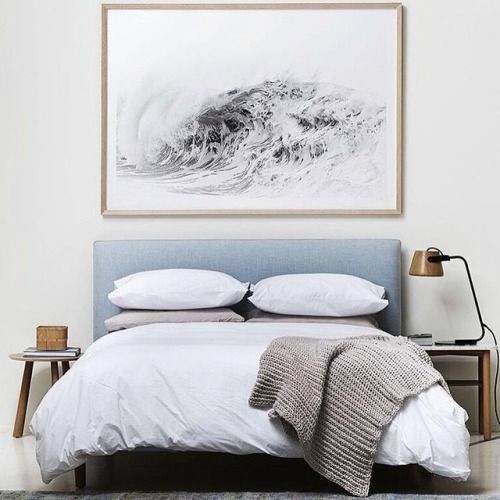 It doesn’t matter if it’s not a “famous” piece of art from a popular artist, as long as it gives you a warm, fuzzy feeling whenever you see it, then you need it in your bedroom. 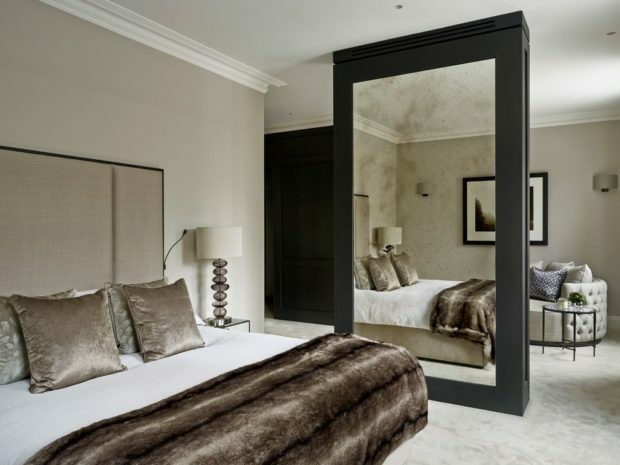 Whilst people often say that a mirror helps to make a room feel bigger, we think a large mirror is simply, well, a good thing to have! A full-size mirror helps to check your outfit each day, as there’s only so much you can see from a bathroom mirror. Furthermore, if you choose one with a beautiful, ornate design, then it’s doubling up as a piece of decoration for the room. If you browse around on eBay, you’re bound to find one much cheaper than if purchased new.